It is not enough to rely on the strength of your market to produce a sale. All across the country there are plenty of places where real estate is in high demand. Even though your market may be flooded with buyers, it doesn’t mean your property will fly off the shelf. You still need to do things that will attract buyers, keep them interested and ultimately generate an offer. By simply listing your home and waiting for offers to come in there is a good chance you will be left disappointed in the results. With such a premium placed on turning your property over as quickly as possible you need to go above and beyond to generate interest, regardless of your market. Here are the five most common reasons why your property may not be selling, and what you can do about it. Lack of curb appeal. Every seller should understand the importance of curb appeal. A negative first impression can single-handedly turn buyers away quicker than almost anything else you can do. Instead of giving the property an honest look, you will have to wow buyers just to regain their interest. Improving curb appeal can include a handful of important items ranging from the condition of the yard to the quality of the front walk. If you have been working on a property for weeks it is easy to overlook a number of these items. Ask a friend, or someone you trust, to drive to the property and write down the first three negative things they notice. These will be the same three things that potential buyers will notice as well. Many of these are relatively inexpensive and easy fixes but are essential if you want to generate interest. Not using a real estate agent. When selling a property it is critical to look at the big picture. Of course you want to squeeze every dollar out of the property as possible. However, you shouldn’t eliminate a real estate agent to do so. There is a lot that goes into selling a home. Everything from finding the right list price, marketing, scheduling showings, negotiating offers and reviewing contracts is all part of the process. If you lack in just one of these areas your transaction will not go as smoothly as you planned. Many times what you think you are saving in commission you actually lose by negotiating a reduced sales price. Even if you can get the price you want you will spend many more hours at the property than you anticipated. There is too much on the line not to use a professional real estate agent. There are other areas in the transaction where you can look to save money. If you want to maximize your bottom line you have to enlist the services of an agent. Not following up with showings. Every showing you have is potential sale. One of the byproducts of not using a real estate agent is not being as organized as you need to. There are times when a potential buyer doesn’t show their hand and you assume they aren’t really interested. You don’t follow up with them or ignore their calls and they move onto another property. Every showing should receive an email or call within 24 hours. Don’t be afraid to ask for feedback or even ask if they are interested in making an offer. You never know when a buyer will circle back to your property at some point down the road. If you aren’t responsive to their inquiries you will leave a bad taste in their mouth. Most buyers will come from your existing database. It is critical that you follow up with every showing you have. No staging. Every property is just a little bit different. Something that worked for you on a property a few months back may not work for your current property. If you are trying to sell a full rehab the quality of your work may not be enough. Most buyers want to envision themselves living there and need to see the property furnished. The right staging can instantly transform the property and add to the appeal. Staging doesn’t work for every property in every market, so you need to do some research to see the benefit. However, for the right property staging is exactly what is needed to produce multiple offers. Listing too high. Price is the leading influencer in property demand. You can do everything else right but if you are listed too high you won’t have demand you anticipate. A good barometer to gauge if you are listed too high is the number of showings you have. With only a sprinkling of showings it is a good bet that either your marketing or your list price is flawed. If you have numerous showings and still have a lack of offers there is something wrong either in your presentation or with the property. Listing too high is a popular mistake with sellers working without a real estate agent. They think they can list high and meet buyers somewhere in the middle. That thinking is outdated and doesn’t work in this market. You need to list at fair market value and create demand with showings. Listing too high will cause your property to become stale, eventually leading to a price reduction and a lower price than you anticipate. If your current listing is not selling you need to be proactive and take action. 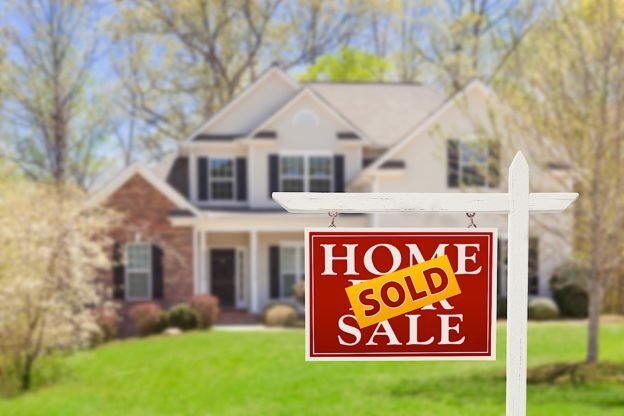 Use these five tips to help resuscitate your listing or help avoid these common mistakes.